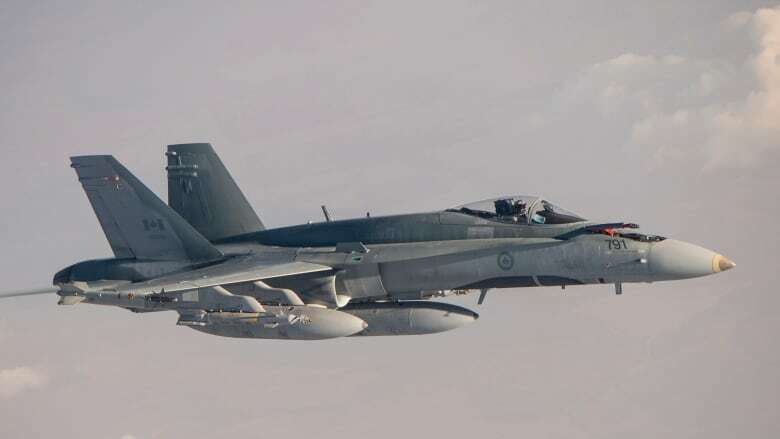 An RCAF fighter pilot was fined $2,000 in a court martial for flying too low in a training exercise in which his wingman was killed. Capt. Christopher Mileusnic was leading a two-aircraft formation on Nov. 28, 2016 at the Cold Lake Air Weapons Range in a bombing exercise. The court martial found that Mileusnic continued the bombing practice in violation of RCAF procedures that don’t permit low-level work without a functioning head-up display. His display had been flickering and giving incorrect altitude readouts but he continued the exercise because there was pressure on pilots to drop all their bombs in these sessions. He pleaded guilty to flying at 450 feet AGL, below the minimum altitude for low-level work. On their last run, his wingman, Capt. Thomas McQueen followed Mileusnic onto the range and his aircraft slammed into terrain after he released his load of bombs but Mileusnic was not implicated in the crash. “The actions of Captain Mileusnic during the Swift flight are in no way alleged to have contributed to the crash and death of Captain McQueen,” the statement of facts from the court martial said. An accident report released in April said McQueen may have been momentarily distracted when he looked to see where his bomb landed just before the crash. Since the crash, the air force has raised the low-level limit to 1,000 feet AGL.